Celebrate the wine country lifestyle with our unique loyalty program. Jordan Estate Rewards allows customers to accrue points for access to exclusive food and wine experiences. 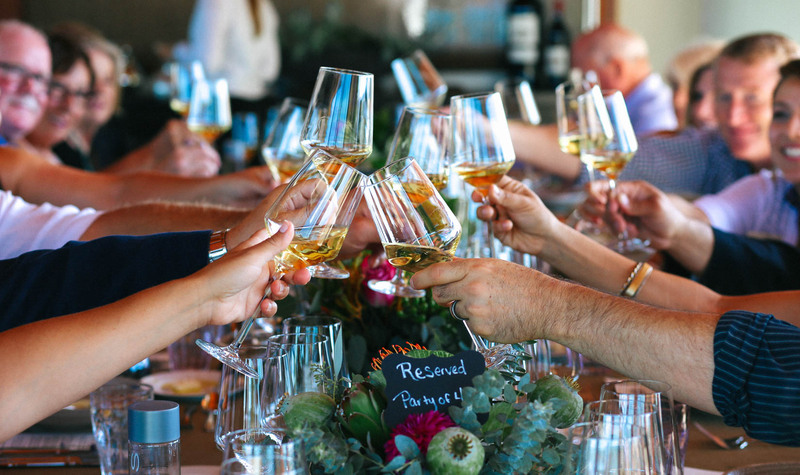 When you join, for every dollar you spend at Jordan, you’ll earn points to redeem toward intimate tastings, dinner parties and more at Jordan Estate in Sonoma County. Unlike a wine club, there are no annual shipments, and your points never expire. Membership is complimentary and automatic when you join our mailing list. You’ll receive 3,000 bonus points for signing up, and you’ll continue to earn three points per dollar for all purchases made—either in person at our winery in Healdsburg, by phone or online. To experience a reward, you simply use your points and pay a redemption fee. The higher the membership level, the lower the cost to redeem a reward. Once your purchases total $500, you will become a Silver level member. Indulge in memorable food and wine pairing experiences, including delicious tastings, lunches and dinners, with your own private table at the Jordan Winery Chateau. Enjoy convivial company with fellow wine lovers during family-style lunches and spectacular dinner parties. Experience the heights of Jordan hospitality with an overnight stay in one of our opulent guest accommodations.